FYI you can also get the same error when connecting to an on-premises instance and it still means the same thing. I do want to give one warning though. When you see these errors trying again will almost always re-connect you. However, unless your connection is told to go directly to the database you need (as would happen with an Azure SQL DB connection) you may end up back at your default database. 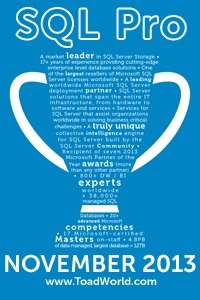 « What version of SQL is SSMS scripting for? I’d like to know why it is that when you have a query that had been open in SSMS for a while (several hours to several days) that it will lose the connection, but not give you the option to re-establish one. Your only recourse is to Ctrl+A, copy and paste into a new query window or close and re-open the query. What’s up with that MS? The only times I’ve seen that if you run the query, get an error, and then run it again it reconnects just fine. Are you seeing something different? Ahh .. yea, I’ve never used autoclose. That would make sense though.